Clifford Gore Brown Wyatt Chambers was the youngest son of Charlotte and the Rev. James Chambers. He was born on the 30th December 1852 at “The Briars” on the small British South Atlantic island of St. Helena. The Rev. 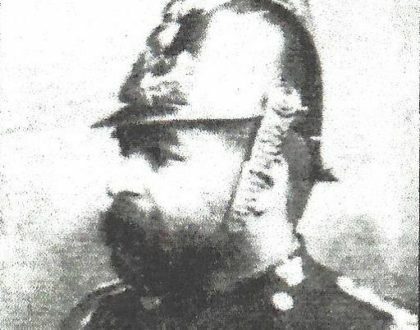 James Chambers had been born on 27th November 1822 at Willoughby, Warwickshire. He entered All Soul’s College Oxford where he gained an MA. 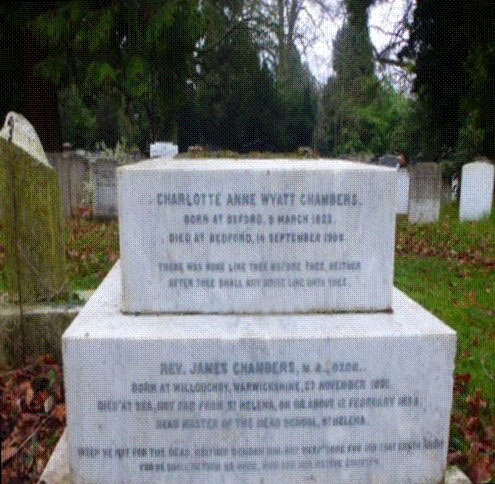 James married Charlotte Anne Wyatt on 5th February 1850 at St. Martin’s Church, Oxford. His father, also named Rev. James Chambers, conducted the wedding service. Charlotte had been born on 9th March 1822 at Oxford and was the daughter of Ann and Robert Wyatt, a wealthy farmer. Soon after their marriage, James and Charlotte set sail for St Helena in order for James to take up his appointment as Government Inspector of Schools and Headmaster at the High School at James Town. Their daughter Evelyn was born on 15th December 1850 and the following year their son Frederick was born. In 1854, the Rev. Chambers became ill and was advised to return to England to recuperate. Charlotte was expecting their fourth child and stayed behind with Evelyn, Frederick, and Clifford. 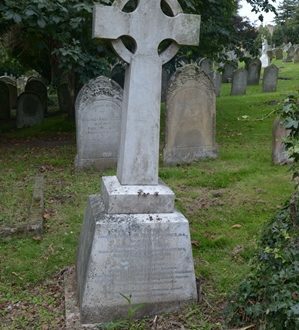 Soon after James had boarded the ship to England his health took a turn for the worse and he died, on or about the 12th February 1854 aged 31. On 12th July at Mount Pleasant, St. Helena, Charlotte gave birth to a daughter, Ethel James Charlotte Wyatt Chambers. As soon as Charlotte was well enough to travel, she returned to England with her four children and lived with her widowed mother, at Stert Street, Abington in Berkshire. Evelyn and Ethel attended a boarding school at St. Pancras, London. Evelyn went on to be a headmistress of a girl’s public school, at Yorkshire and Ethel became a governess. It is unknown what become of Frederick. Clifford attended Christ’s Hospital (Bluecoat School) London. It was a charity school with the purpose of educating children from poorer backgrounds. After leaving school, he entered Oxford University, where he gained an MA. He joined the teaching profession and went on to teach Classics at Bedford Grammar School for the next thirty years. For a time, he was the boarding housemaster at Hertford House in De Parys Avenue, Bedford. In his later years, Clifford devoted much of his time to historical research in the ancient records of Bedfordshire. He was a founder member of the Bedfordshire Historical Society and contributed to its first volume. He also wrote the political history chapter in Victorian History of Bedford, Vol. 2 (1908) and the Bedfordshire volume in the series Cambridge County Geographies, published posthumously in 1917 (rep. cup, 2012). Clifford never married, and he lived with his mother until she died on 14th September 1909. 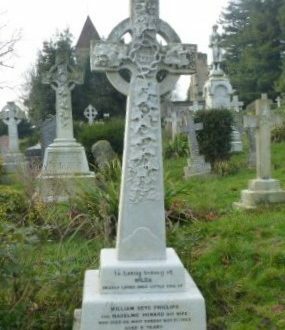 His sister Ethel died at Kensington on 28th January 1909. Clifford died on Christmas Eve 1913 at his home 8 The Avenue, Woburn Road, Bedford. After cremation, his funeral took place at Foster Hill Road Cemetery, on 30th December 1913. Gentleman’s Magazine, Or Monthly Intelligencer- February 13th, 1854 Volume 60 -page 663. State of her Majesty’s Colonial Possessions May 8th, 1851- page 265. 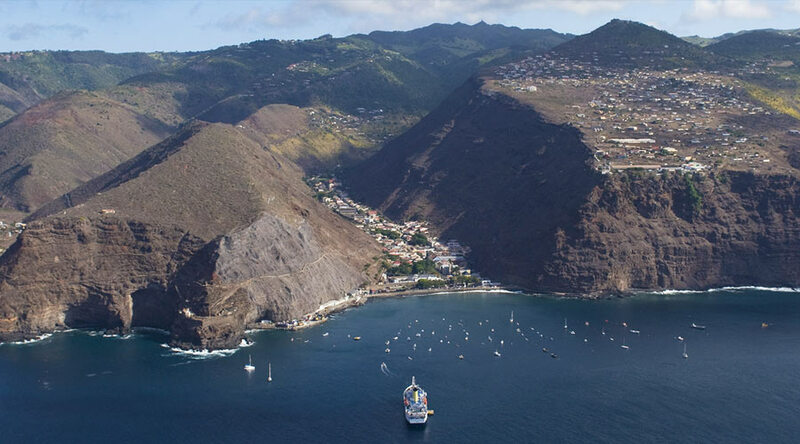 Saint Helena is a small volcanic tropical island located in the South Atlantic Ocean and is one of the remotest settled islands in the world, 1800 miles from South America and 1200 miles from the coast of Africa. St. Helena is ten and a half miles long, six and three quarters miles wide, and 28 miles in circumference. 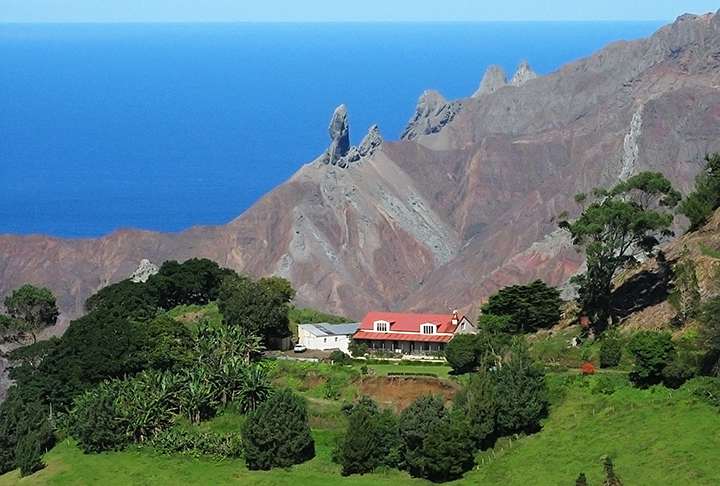 St Helena was the final residence of Napoleon Bonaparte following his exile. Napoleon had stayed for the first two months at the pavilion in the grounds of “The Briars” and then moved to Longwood House where he stayed until his death in 1821. His body remained in St. Helena until the French were granted permission to have his corpse returned to France for a state funeral nineteen years after his death. Colour print (1788) by Thomas Luny of an “English frigate at anchor off the Island of Saint Helena, with a view of Jamestown beyond”. Jamestown is the capital of the islands of St. Helena, Ascension and Tristan da Cunha. James Bay has been the harbour for almost all ships that have stopped on the island of Saint Helena. Jamestown is wedged in the James Valley. The Briars, which was the residence of the Rev. James Chambers is situated in the upper reaches of the James Valley. Mount Pleasant at Saint Helena is where, on the 12th July 1854, Clifford’s youngest sister, Ethel was born. Historic Picture Gallery – Saint Helena Island info. Saint Helena Island Vacation, Mantic C.